New! Windows to the Land, An Alaska Native Story Vol. Two! Windows to the Land, An Alaska Native Story, Volume Two: Iditarod and Alaska River Trails features Iditarod, Iron Dog, Yukon 800, and World Eskimo-Indian Olympics champions including George Attla and Reggie Joule, as well as Alaska Native subsistence advocate Katie John. With maps, timelines, and photos on every page, Windows presents the face of Alaska sled dog racing and Iñupiaq games of strength where it began: in the village. 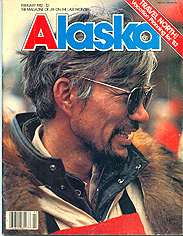 This is classic Alaska, “that kind you won’t see no more,” said Oscar Albert of Northway. Companion book, Windows to the Land, An Alaska Native Story, Volume One: Alaska Native Land Claims Trailblazers, is the voice of those whose fire in the belly led to today’s Tanana Chiefs Conference, the formation of the Alaska Federation of Natives, and to the Alaska Native Claims Settlement Act (ANCSA). In Volumes One and Two: hear the voice of those whose cultures lived the transition from Russian America to the twenty-first century: Athabascan, Iñupiaq, Yup’ik, Tlingit, Haida, Tsimshian, Aleut, and Alutiiq, from the Aleutian Chain to Barrow: the first people of Alaska. 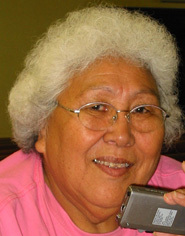 Publication of the second volume of "Windows to the Land," Judy Ferguson's sprawling collection of oral history interviews with Alaska Natives, concludes more than two decades of work by the Delta Junction story-collector. 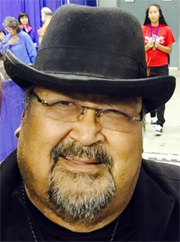 Through interviews with elders, leaders, athletes, activists and many others, Ferguson gives voice to dozens of people, weaving together a tapestry of stories exploring Native life and history through firsthand accounts and shared family lore. Every region of the state and all of the major Native groups are represented. 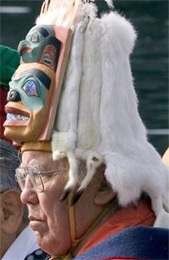 These books are notable for many things, including inside accounts of the efforts that led to passage of the Alaska Native Claims Settlement Act, tales of subsistence practices prior to the development of cash economies, family memories of ancestors' first encounters with white people, the traumas of abusively run boarding schools, reclaiming lost culture and much more. There are stories of struggles, tragedies and redemption. Many of those she interviewed are no longer alive, making Ferguson's work all the more precious. Quite simply, nothing like this has been done before in Alaska. Katie John et al. v. the United States et al. 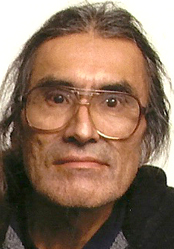 Fred John Jr., Ahtna Athabascan. 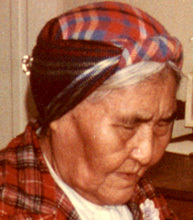 The oldest woman in the middle and upper Tanana. 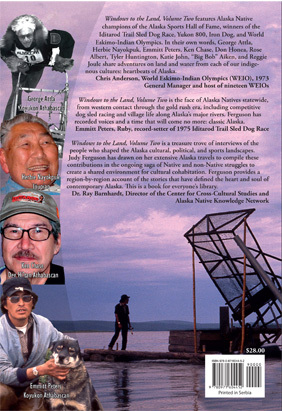 Windows to the Land, Volume Two features Alaska Native champions of the Alaska Sports Hall of Fame, winners of the Iditarod Trail Sled Dog Race, Yukon 800, Iron Dog, and World Eskimo-Indian Olympics. 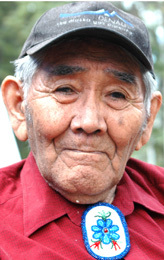 In their own words, George Attla, Herbie Nayokpuk, Emmitt Peters, Ken Chase, Don Honea, Rose Albert, Tyler Huntington, Katie John, “Big Bob” Aiken, and Reggie Joule share adventures on land and water from each of our indigenous cultures; these are the heartbeats of Alaska. put competitive sled dog mushing on global map. Iditarod finalist and a favorite musher. Windows to the Land, Volume Two is the face of Alaska Natives statewide, from western contact through the gold rush era, including competitive dog sled racing and village life along Alaska’s major rivers. Ferguson has recorded voices and a time that will come no more: classic Alaska. "Windows to the Land, Volume Two is a treasure trove of interviews of the people who shaped the Alaska cultural, political, and sports landscapes. 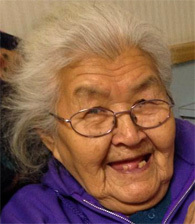 …"
first Native female to race in the Iditarod. champion who put WEIO on global map. Chris Anderson, Iñupiaq and Yup’ik. 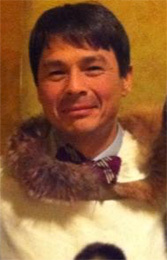 World Eskimo-Indian Olympics general manager. 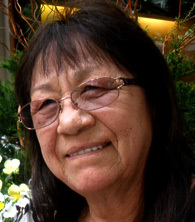 "Judy Ferguson has drawn on her extensive Alaska travels to compile these contributions in the ongoing saga of Native and non-Native struggles to create a shared environment for cultural cohabitation. …"
"From the gold rush and territorial days to statehood and land claims, Ferguson provides a region-by-region account of the stories that have defined the heart and soul of contemporary Alaska. 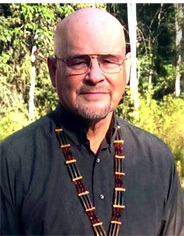 …"
Sven Haakanson, Alutiiq, rebuilding culture. "Both casual and seasoned readers of Windows to the Land will find much of interest in the personal accounts and the stories-behind-the-stories that define the sense of place and nurture the roots of Alaska. …"
"Through her personal commentary, Judy acquaints us with intriguing background and details about the people who lived through the key events that shaped the Alaska we know today. 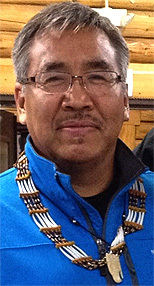 …"
Gary Simple, Gwich’in Athabascan, evangelist. 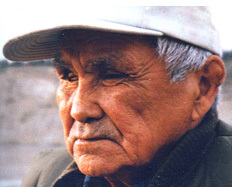 Lincoln Tritt, Gwich’in Athabascan, teacher. Grandson of Iditarod serum runner. "Of particular value for this book will be its use as a supplementary text to provide 'windows to the land' in high school and college Alaska history classes. 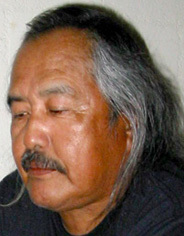 …"
Charlie David, Upper Tanana Athabascan. "For the everyday Alaskan, the joy will come from learning about how ordinary people can do extraordinary things on behalf of all of us. 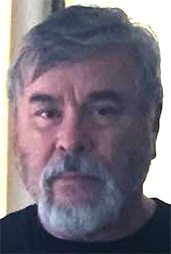 …"
Fairbanks Arts Association executive director. "...This is a book for everyone’s library." 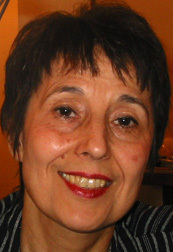 Congratulations Judy, you are amazing!” Anthropologist and author Bill Simeone. 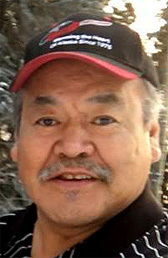 Marvin Carroll, Gwich’in Athabascan, pastor. 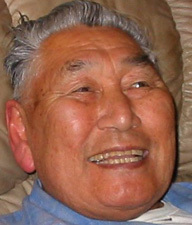 Arnold Marks, Koyukon Athabascan, missionary. 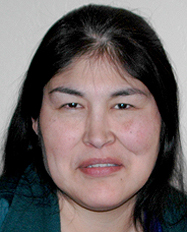 "An important contribution to our understanding of Alaska Natives. …"
Chief Rev. 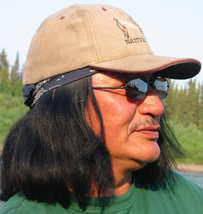 Fred Ewan, Ahtna Athabascan. "A fascinating history of those who have shaped Alaska, written with the verve and accuracy we have come to expect from Judy Ferguson. …"
formerly part of Russian America. First State of Alaska magistrate. "...A must read for anyone interested in Alaska history.” Judith Kleinfeld, Director of Northern Studies, Emeritus, University of Alaska Fairbanks. 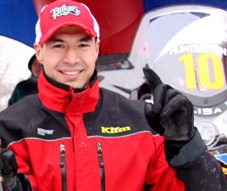 first to win both the Iron Dog and Yukon 800. June: Barnes & Noble, June 18th, 3-6 PM. June: Midnight Sun Festival, June 19. June - July: Tanana Valley Farmers Market. October: Alaska Federation of Natives, arts and crafts. Oct. 20-22. November: University of Alaska Women’s Association, Nov. 5 & 6. November: Fairbanks Holiday Marketplace, booth 113, Nov 11-13. December: Tanana Valley Farmer’s Market, Dec. 10. July: Girdwood Forest Fair: July 1-3. Nov: Arts & Crafts Emporium Show, booth 153, Nov. 19-20. Nov: Anchorage Museum Read Alaska book fair, Nov. 25-27. By Judy Ferguson; distributed by Voice of Alaska Press and the News Group; available on the author's website. 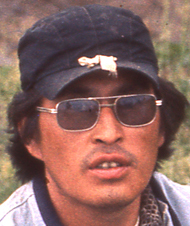 In 1975, Delta Junction resident Judy Ferguson, her husband Reb, and her 5-year-old son Clint set off by canoe from their homestead along the Tanana River, bound for the Yukon. 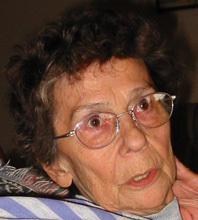 It was seven years after she arrived in Alaska, but she had yet to travel beyond the road system. What the family encountered as they passed through the Native villages along Alaska's largest river were a history, a people and a way of life that Ferguson would connect to on a personal level. Ferguson collected stories from people she met along the river and kept them in a diary, adding more accounts from others she met around the state. Somewhere along the way, it became an obsession. Four decades later what started as a hobby has come to fruition with the publication of the second volume of "Windows to the Land," a kaleidoscopic collection of life stories from Alaska Natives throughout the state. Coupled with the first volume, published in 2012, the books contain some 800 pages of personal accounts offering an unparalleled look at the struggles and triumphs of Alaska's first people as they've found their way in a larger society that often threatens to overwhelm their cultures. Ferguson came at the project after several years of writing columns for the Anchorage and Fairbanks newspapers about her family's experiences, her neighbors and friends, the local history around Delta, and life histories of old-time Alaskans. 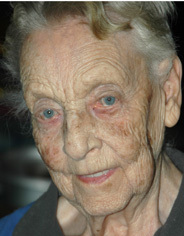 Her drive and independent streak had led her to a career as a self-taught oral historian and self-published author who by the late 1990s was well known throughout the state. It was around 2003, she said in a recent interview, that she was wondering what direction to head next. Turning to her deep Christian faith for guidance, she was drawn back to what had first enchanted her along the Yukon. 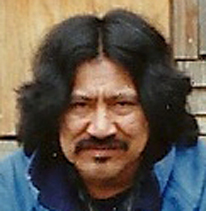 "I was on the fast ferry in Southeast and was meeting Alaska Native cultures that I had no intersection with before. It was all new to me. I was sitting there and I prayed. 'What direction should I go next, Lord?' And I felt that the Alaska Natives would be my windows to the land. They would be my teachers and that was the next way to go." The first volume of the collection, subtitled "Alaska Native Land Claims Trailblazers," focused on the long struggle that led to the Alaska Native Claims Settlement Act. "I wanted to learn," Ferguson said. 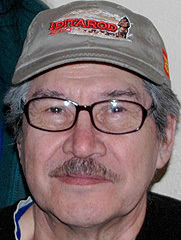 "I knew the terms ANCSA and ANILCA (Alaska National Interest Lands Conservation Act). I lived through both. I remember the tug of war on both sides of the fence. But I wanted to know how all the pieces of the puzzle fit together." 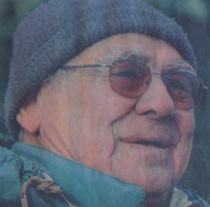 The book included interviews with elders who experienced the legalized discrimination Natives faced, offering readers the chance to understand the starting point for Alaska's civil rights movement, an effort that spanned much of the 20th century. 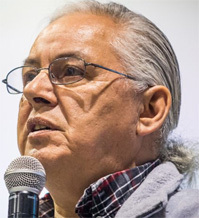 Ferguson feels the role of the Tanana Chiefs Conference in renewing the push for land claims in the 1960s is an under-reported part of the story. 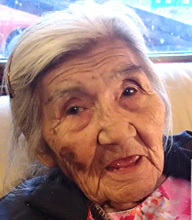 Speaking of the man who revived the Tanana Chiefs Conference, she said, "I think it was amazing that Al Ketzler had not really been given voice, because to me, he was the whole movement. It all started with him." It's a long complex history that she covered from the viewpoints of many involved. The lands settlement required bringing Alaska's disparate Native groups together, negotiating differences, accepting compromises and overcoming setbacks. It culminated in historical success. Through Ferguson's dogged work the story was offered in the voices of many who fought the battle, something that had not been previously available to a general reading audience. Reviewing that volume for the Fairbanks Daily News-Miner at the time of its publication, I wrote, "This is a tapestry of many voices, including a number of the people who are no longer with us. Along with the stories come hundreds of photographs, many of them historic and never seen in print before." Alongside the stories of the land-claims struggles, the first volume also provided insight into life in Native communities through personal histories. The new volume, "The Iditarod and Alaska River Trails," continues that theme. The book opens with the story of the late lands activist Katie John of Mentasta Lake, who shares family lore and describes growing up in the subsistence culture of early-to-mid-20th-century Alaska. Her son, Fred John Jr., an activist in his own right and a good friend of Ferguson's, follows. Well known for his long walks across Alaska to draw attention to Native issues, he told me that Ferguson "writes good stories for Natives. Good, truthful stories." John acknowledged that nothing like what Ferguson has done with her books had been previously attempted. 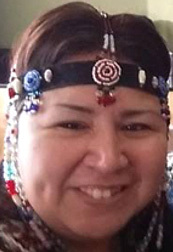 "She brings Native history to Alaskan audiences," he said. "What she wrote in those two books should be in schools throughout Alaska. 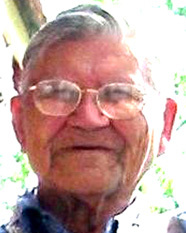 Because we don't have Native history in schools." This history is brought to remarkable life. 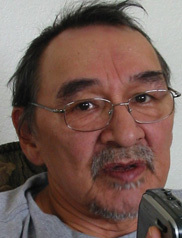 Alaska Natives who shared their life histories in these books include Gwich'in Chief David Salmon; activist Cynthia Erickson, who made her fight against domestic abuse public; and Alice Snigaroff Petrivelli, who lived through the internment of Aleutian Island Natives. 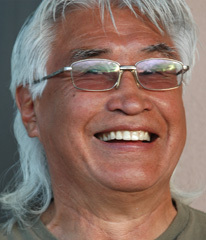 Sports figures are also prominent, including the legendary mushers George Attla and Emmitt Peters, Iron Dog and Yukon 800 winner Tyler Huntington, and longtime World Eskimo-Indian Olympics general manager Chris Anderson, who said of Ferguson's finished product: "the three interviewed for their involvement of the World Eskimo-Indian Olympics (Big Bob Aiken, Reggie Joule and Anderson) far surpassed anything I expected." 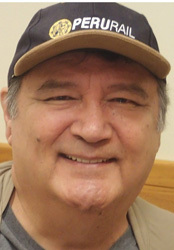 Non-Natives who played key roles in Alaska Native history are also found in the first book, including Niilo Koponen, Judith Kleinfeld and former Rep. Nick Begich Sr., whose story was told by his son Tom. 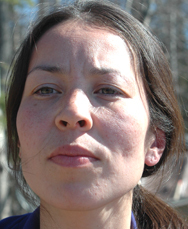 Some stories are painful, exploring people's personal struggles with substance abuse, domestic problems, the loss of loved ones (Alaska Natives suffer a vastly disproportionate suicide and accidental death rate, something all Alaskans should consider intolerable), and feelings of being culturally adrift. The long account that Lisa Yoshimoto of Copper Center relates is perhaps the most heartbreaking of all. Several interviewees tell of life in the boarding schools, where Alaska Native children encountered sexual and physical abuse by those in charge, and the administration attempted to cleanse them of their own cultures. Fred John Jr., who attended one of these schools, told me, "Boarding school experience is something that people don't talk about. So I talked to her (Ferguson) about what happened down there." Countering the tragedies and hardships for many, however, are experiences of redemption through Christian faith and the reclaiming and restoration of culture as a means of recovering themselves and rebuilding their communities. Evangelists Arnold Marks and Gary Simple tell lively stories of traveling the state, spreading the gospel. 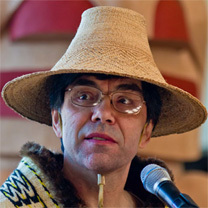 A particularly inspiring account comes from Tsimshian artist David Boxley, who single-handedly set about reviving the all-but-lost traditional crafts of his people. 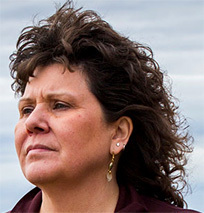 The largest share of the interviews Ferguson conducted were with Alaska Natives from the Interior, a result of the many years she has spent in Delta and the connections she has built, but in both books she worked consciously to include people from all the Native groups across Alaska. She also explains the distinctions between subgroups that are frequently missed by white residents. These smaller groups often have (or had, sadly) their own languages and very specific cultural histories. Both books are richly illustrated with photographs. 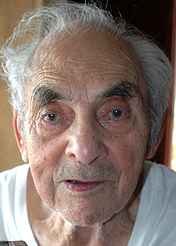 Many of the elders Ferguson interviewed also provided family histories, relating the experiences of parents and grandparents who lived through the very end of the Russian era and the arrival of Americans. Hunger and hardship were constant companions in those days, yet more than one interviewee bemoans the effects of relief programs that have ended hunger but brought reliance on the government. 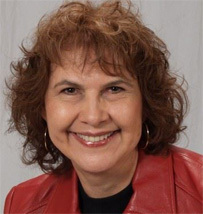 Ferguson worked closely with each of the people she included, letting them review and edit the chapters discussing their lives to ensure as much accuracy as possible, as well as to allow them to tell their stories as they wanted them told. 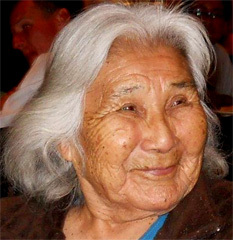 This commitment to her subjects undoubtedly helped her cross the cultural divide between Alaska Natives and white residents, and the value of her work can't be overstated. 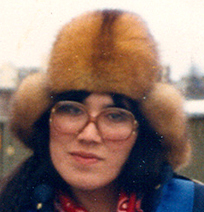 These are stories we wouldn't have without her, and they offer vital insight into who all Alaskans are, where we have been and where we are going as a people and a state. For Ferguson, who is finally slowing down after 20 years of relentless story collecting, seeing these two books come to market has been deeply rewarding. "It's been my privilege to hear these people's voices, to know the stories," she said. "It's been gold to me." 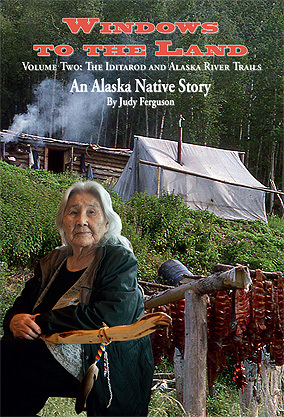 Judy Ferguson will be selling her books at the Alaska State Fair in Palmer at Purple Trail 14 Aug. 25-Sept. 5. Both volumes of "Windows to the Land" are available in print and digital editions, and the first volume is also available as an audio book on CD. An audio version of the second volume is forthcoming. Following on the heels of its first volume — which collected the accounts and personal histories of Native activists who paved the way for resolutions during the Alaska Native Land Claims battles — Judy Ferguson’s “Windows to the Land: An Alaska Native Story, Volume 2” expands the focus to the broad new topic of Alaska Natives’ relationship with the land itself, their personal and cultural histories, and their long-standing ties with sled dog events such as the Iditarod and Yukon Quest. Whatever one’s feelings toward the first volume (and I certainly can’t speak for it), it’s an undeniable fact that “Windows to the Land” is doing important work. Each of the 45 chapters feature a transcribed interview with a different Alaska Native person, from Iditarod winner and Eskimo-Indian Olympians to tribal leaders, elders, activists, and their descendants. There are no questions, no prompts, just stories, flowing histories of times, cultures, lives and competitions past. All too often, accounts such as these would be ignored, lost or outright erased by a western approach to history. And that is precisely why “Windows” is so valuable. And yes, this does mean that some things get lost in the cultural translation, or that timelines get muddled until it’s hard to tell the order of events, or that the occasionally idea gets introduced and left to dangle without a full explanation. But that’s all part of the charm and the value, as though readers were listening to these stories told live and passed down like the treasured family histories they are. Nor should this be taken to mean that the finished product feels at all sloppy. Rather, it’s a remarkably complete work, resonating on a broad theme and yet pulling together as a cohesive whole. At first glance, the choice to focus on two apparently unrelated subjects — first the relationship with the land and second the traditional sports, particularly dog-mushing races — threatens to fragment the message before it begins, but a full review soon proves the two to be explicitly intertwined. If there’s a flaw, it’s less in the writing than in the formatting and placing of the articles. Italics in particular are over-used to the point of inducing headaches, particularly when the slanted photo captions are mixed with Ferguson’s introductions. 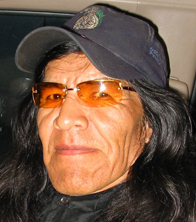 There is also a slight but noticeable favoritism toward Athabascan contributors, who make up over half the book, likely due to the collection being built from Ferguson’s personal contacts and experiences. If there are future volumes in the works, it would nice if possible to see one or two more voices from the groups who were otherwise overlooked. While it is an enjoyable read, the ultimate value of “Windows” is not as a source of entertainment or even information, but of preservation and history. It is an undeniable treasure that these voices have been saved for future generations, and one can only hope that they continue to be heard in the years to come. 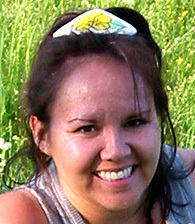 Addley Fannin is a freelance writer and graduate student in Northern studies at the University of Alaska Fairbanks. She can be reached at [email protected], on Twitter at twitter.com/addleyfannin or on Tumblr at adelinecappuccino.tumblr.com. ISBN: 9780971604452 distributed by Voice of Alaska Publishing and by News Group.